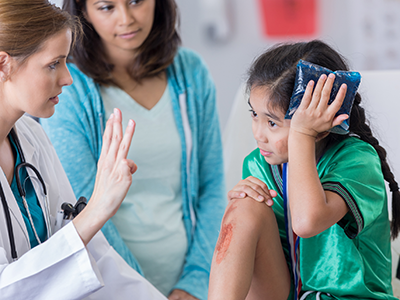 A concussion symptom measurement tool, developed by investigators at Children’s National Health System, allows other researchers to collect valuable evidence about the natural progression of symptoms and recovery for children. 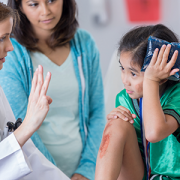 The tool, Post-Concussion Symptom Inventory (PCSI), was a key tool in the recent large-scale multi-center prospective study of recovery trajectory for children, which was published online in JAMA Pediatrics Sept. 4, 2018. Female adolescents take longer to perceive primary symptom improvements than children, pre-adolescents and male counterparts. 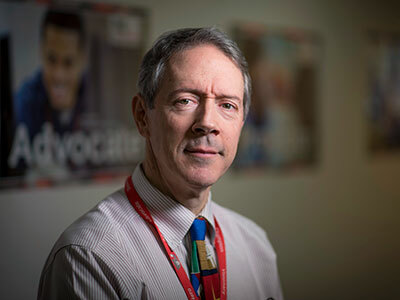 Dr. Gioia and his team also recently received a Centers for Disease Control and Prevention (CDC) grant to develop a new smartphone application, Online Treatment Recovery Assistant for Concussion in Kids (OnTRACK), that applies several concussion tools developed at Children’s National, including the same one applied in the JAMA Pediatrics study, to track individual symptoms over time. The OnTRACK app will report concussion symptoms on a regular basis (daily or weekly) and map their trajectory, so doctors can see when recovery is proceeding along the expected pathway. Alternatively, clinicians will receive an alert when a child’s recovery misses targets and warrants further investigation and possible referral to a specialist. Gerard Gioia, Ph.D., an internationally recognized expert in pediatric concussion management, was named president of the Sports Neuropsychology Society at the conclusion of this year’s meeting. “We know how critical it is to identify and appropriately treat every concussion, particularly when they happen early in an athlete’s career,” Children’s National President and CEO Kurt Newman, M.D., told a crowd of nearly 300 sports concussion experts gathered in Washington, D.C. for the Sports Neuropsychology Society’s (SNS) 6th Annual Concussion Symposium. 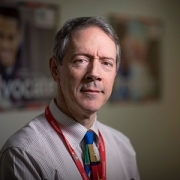 “This meeting and its agenda, held in D.C. where we’ve done so much work on understanding concussion management for children, is particularly meaningful for me because it really drives home our key message of a link between active participation in sports, appropriate recognition, management of youth concussions and the developing athlete’s brain health,” says Gerard Gioia, Ph.D., division chief of neuropsychology and director of the Safe Concussion Outcome, Recovery and Education (SCORE) program at Children’s National. Dr. Gioia, an internationally recognized expert in pediatric concussion management, was named president of the society at the conclusion of this year’s meeting, which was held in Washington, D.C. from May 3-5, 2018. During his two year term, he will work with members to advance the mission of SNS, which seeks to advance the field of neuropsychology to generate and disseminate knowledge regarding brain-behavior relationships as it applies to sports, and to promote the welfare of athletes at all levels. “The way we can really help our youth athletes is by understanding how we can maximally prevent concussions in sports, and how we can manage those earliest concussions more effectively to minimize the negative long term consequences,” says Dr. Gioia. “I was very excited that our documentary was able to receive such an honor. 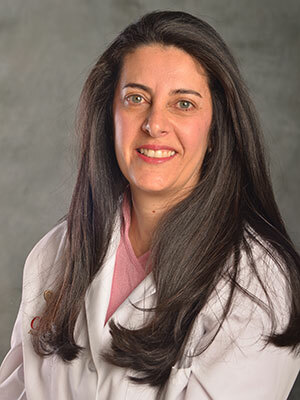 We were able to successfully train 100% of D.C. Public School nurses, which makes all the difference when recognizing concussions in students and athletes,” says Shireen Atabaki, M.D., M.P.H. The “Play Smart, Your Brain Matters” documentary was recently recognized at the 38th Annual Telly Awards, which honors excellence in video and television across all screens. In light of the Athletic Concussion Protection Act of 2011, the documentary was created as a training tool for the Concussion Care and Evaluation Training Program, funded by the D.C. Department of Health and hosted by Children’s National Health System and MedStar Sports Medicine. According to the Athletic Concussion Protection Act of 2011, athletic, school and medical personnel are required to receive the proper preparation and training in concussion recognition and response. All athletes suspected of sustaining a concussion are to be removed from practice or play and only allowed to return to sport participation after a written clearance is given by a licensed healthcare provider who is experienced in the evaluation and management of concussions. Emergency Medicine Specialist, Shireen Atabaki, M.D., M.P.H., and expert in concussion and knowledge translations says, “I was very excited that our documentary was able to receive such an honor. We were able to successfully train 100% of D.C. Public School nurses, which makes all the difference when recognizing concussions in students and athletes.